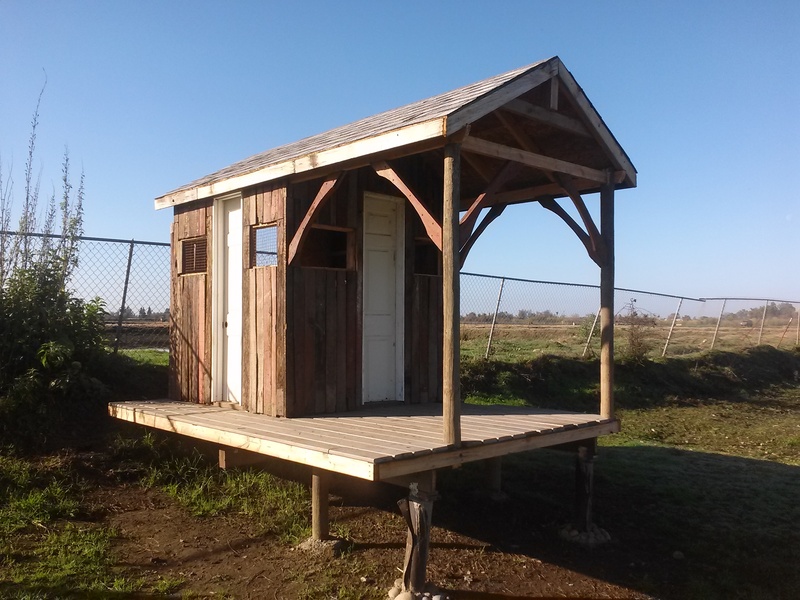 John’s newest creation is a 6′ by 6′ barn. I call it the Fishing Shack as it overlooks a small pond. The large porch provides shade for those who want to fish and there is a narrow cubby to store fishing poles. The sheep have their own entrance off to the side. 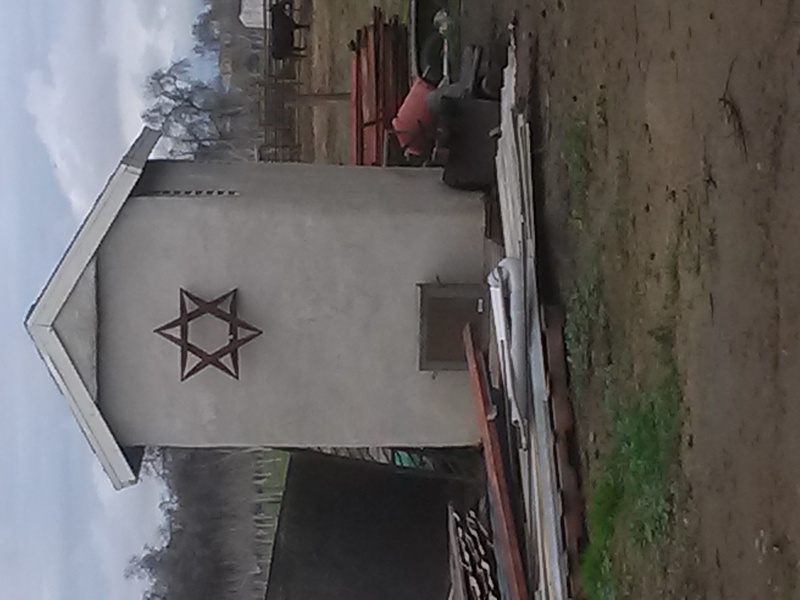 This redwood star was made out of the cutouts from the braces. The braces are the diagonal elements that stabilize the posts on the Teeny Tiny Barn. 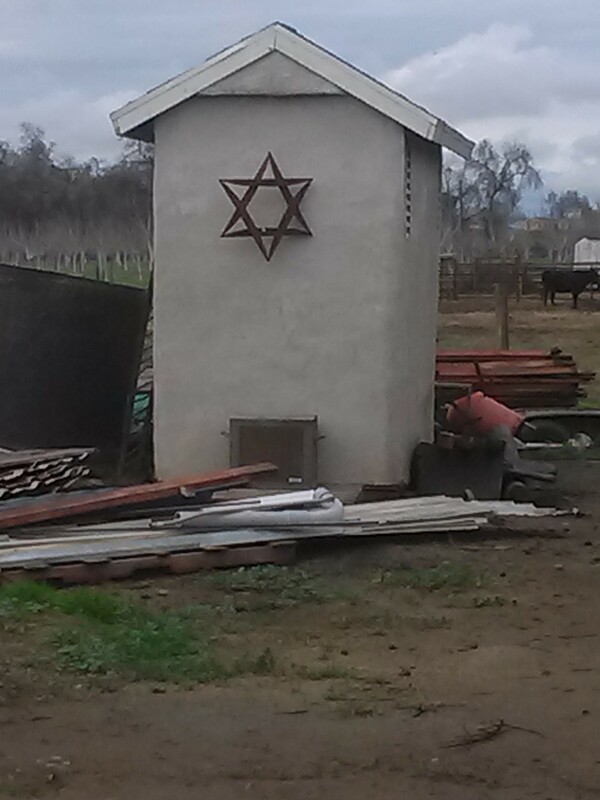 I love how John recycles even the smallest pieces of redwood to beautify the farm.